This charming former vicarage is a friendly, family-run hotel that has been carefully renovated and extended to offer modern amenities, beautiful antiques and plenty of original character. 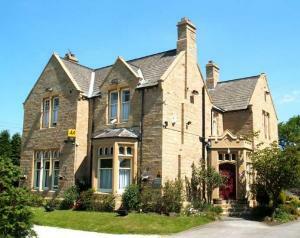 The Old Vicarage in Leeds was built in 1893 and was formerly the home of the Vicars of Bruntcliffe. Fantastic shopping and attractions, including the Royal Armouries, the Henry Moore Sculpture Centre, West Yorkshire Playhouse and the award-winning Harewood House are all nearby. In the heart of the city centre, opposite Leeds Railway Station, this luxurious 4-star hotel offers stylish and contemporary air-conditioned rooms, all with satellite TV including Sky Sports. Situated on the City Square, the Park Plaza Leeds is just 100 metres from the main shopping, entertainment and cultural areas. All of the spacious rooms have telephones with 2 lines, large workspaces, and satellite TV, including on-demand movie channels. 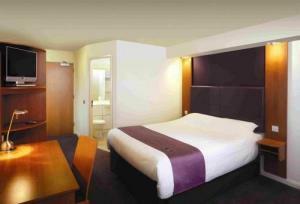 The en suite bathrooms include luxurious Park Plaza Spa toiletries and bathroom products. Wired and wireless internet access is available at an additional cost. The on-site gym has cardiovascular equipment and weight-resistance machines. Stylish and modern, the multi-award-winning Chino Latino Pan-Asian restaurant and bar serves a fusion of Japanese, Chinese, Thai and Vietnamese food, accompanied by expertly prepared cocktails and a wide selection of wines and bottled beers. The hotel also boasts the Scene! Lobby Bar and an extensive room service menu, unparalleled in the city. 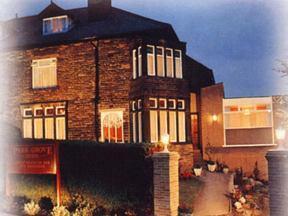 Located close to junction 31 of M62 motorway, this hotel is open all day every day. The Bridge Inn is the perfect setting for a drink, a bite to eat or an evening meal. 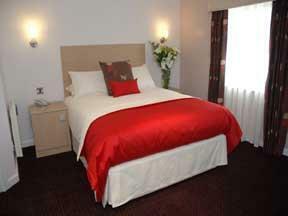 Rooms have recently been refurbished for you to enjoy an overnight stay. Whatever the occasion, whether drinking, dining, sleeping or attending a meeting in our function room; come and enjoy the stylish and comfortable surroundings of the Bridge Inn. The hotel is located near to junction 32 of the designer outlet. Located on the outskirts of Bradford, Cedar Court Hotel Leeds/ Bradford is a contemporary 4-star hotel, just off the M606 and 8 miles (12.9km) from Leeds/ Bradford International Airport. The extensive leisure facilities at the Cedar Court Hotel include a Jacuzzi, steam room, sauna and 13 metre pool. Urban Theraby beauty treatments are offered, for guests to relax and unwind. For the more energetic, a fully equipped gym is available. All rooms are comfortable and well equipped to a 4-star standard, with en suite facilities, including free use of the leisure club. The stylish lounge is the ideal meeting point, offering snacks and afternoon teas; perfect for a relaxing pre dinner drink before enjoying a meal in The Four Seasons Restaurant. The hotel has 14 conference and banqueting suites. Built in 1867 and originally a grand railway hotel, the Great Victoria is a landmark Victorian building, centrally located opposite Bradford Interchange bus and train station. The hotel is within walking distance of theatres and the National Media Museum, and has ample free parking for residents. Great Victoria has 2 restaurants: the Corniche Restaurant Bar and Grill and the R Bar. English food with European influences is served. Over the years, the hotel has been a favourite haunt for wealthy merchants, stars of the stage and political leaders. Today it is a stylish hotel with 70 chic, individually styled bedrooms. 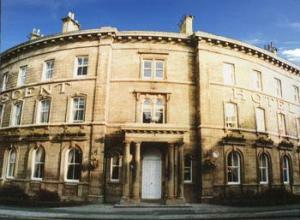 It was awarded 'Best Small Venue in Yorkshire 2008' at the Business Insider Tourism Awards. This grand Victorian hotel nestles in mature, landscaped grounds, close to the town centre and rail links. The Craiglands Hotel is ideal for your short stay and to enjoy all the delights of the Yorkshire Dales. Set amidst spectacular scenery, yet only 9 miles from Leeds/Bradford Airport, the Craiglands Hotel retains many features that made it one of the country's leading hydropathic hotels in the Victorian era and today combines modern day comforts with a warm and friendly welcome. Privately owned, the traditional values of hospitality hold strong with the emphasis on courtesy and service. Day rooms are light and airy, and include an elegant restaurant and traditionally styled bar and lounge. The Craiglands is adjacent to the famous Ikley Moor and yet only five minutes walk from the attractive town centre with its tree-lined boulevard and elegant shops. In 200 acres of beautiful, tranquil grounds, this 4-star luxury hotel offers spacious accommodation and impressive leisure facilities, including an indoor heated swimming pool and an 18-hole championship golf course. 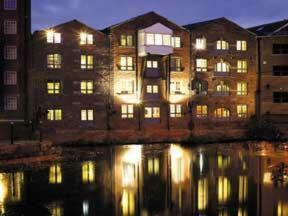 The Marriott Hollins Hall Hotel is just a short drive from the business and shopping centres of Leeds and Bradford. The hotel's convenient location offers easy access to Yorkshire and the region's major attractions, such as Harrogate and the Yorkshire Dales. Leeds Bradford International Airport is also within easy reach. This grand and historic Victorian hotel has 122 spacious and well-appointed en suite rooms, all with satellite TV, tea/coffee making facilities and high-speed Wi-Fi wireless internet access (at an additional cost). Whether you are staying at the hotel for business or for a holiday, the superb leisure facilities are a great way to relax after a hard day's work or a long day spent exploring the area. Relax and rejuvenate in the sauna or take a refreshing swim in the indoor heated pool. The Park Grove is a family owned and run establishment which offers the very best in quality, service and value. Built in the 1900s, a victorian style building that offers quiet and comfortable accommodation. The Park Grove offers quiet and comfortable accommodation and a friendly atmosphere. A victorian-style establishment is family owned and run, it offers the very best in quality, service and value. In 77 acres of stunning parkland, minutes from the cities of Leeds and York, this historical former monastery is now a 4-star luxury hotel with a spa and individually decorated bedrooms. Surrounded by beautiful, quiet parkland and gardens, Hazelwood Castle is a striking ancient building, thoughtfully restored and tastefully renovated to offer a distinct, different experience. Every elegant and luxurious room at Hazlewood Castle Hotel has its own unique charm and individual character. The Poppy Day Spa offers a selected menu of spa packages, alongside treatments such as facials, deluxe manicures and massages. A hair salon provides a full range of cutting and colouring services. 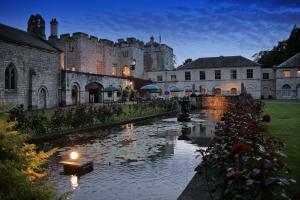 Hazlewood Castle also has a chapel and a restaurant, Anise, which hosts it own cooking master classes. A number of meeting rooms are also available. In Tadcaster, in Yorkshire, this exclusive estate has a rich history and was mentioned in the Domesday Book in 1086. In the heart of Ilkley, close to the Yorkshire Dales and the famous Ilkley Moor, this historic hotel offers free parking, good food, a lively bar and good-value guest accommodation. In the centre of the picturesque town of Ilkley, the Crescent Hotel has a great location, close to Ilkley Railway Station and the River Wharfe. The stunning natural beauty of the Yorkshire Dales is close by and Ilkley Moor is within walking distance. Leeds Bradford International Airport is within easy reach. The unique crescent-shaped building dates back over 150 years and today houses 3-star guest accommodation. All of the en suite rooms have satellite TV and tea/coffee making facilities. The hotel's busy town-centre bar offers local beers, as well as wine and cocktails. The Crescent also offers formal dining in the quaint restaurant and a more casual option in the Brasserie. All meals are freshly cooked fresh to order and made with locally sourced produce. Retaining the ambiance and character of the original Victorian Vicarage, this splendid hotel is ideally positioned next to Thornes Park, and only 5-minutes from the M1 motorway. Occupying a tranquil location, less than half a mile from Wakefield City Centre and Railway Station, this family-run hotel assures a friendly welcome, with an emphasis on always making your stay special. By retaining the Victorian charm and character of the building, and complementing this with modern hotel facilities, Parklands aims to offer a unique experience in comfortable surroundings. This award-winning hotel is located within an historic building in the heart of Leeds, forming an integral part of The Light, a shopping and leisure complex. 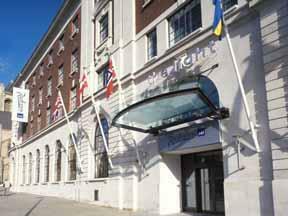 The Light is home to famous retail and leisure brands, all under one roof. Parking is available in the Light at a discounted rate for hotel residents. The hotel is also close to a wide variety of cafe bars and award-winning restaurants as well as world-renowned retailers such as Harvey Nichols, Vivienne Westwood and Hugo Boss. The Radisson SAS Hotel has 147 guest bedrooms, including 40 business class rooms. All have been tastefully designed in Italian, Art Deco and hi-tech style themes. All rooms offer complimentary Wi-Fi and access to the Esporta Fitness Centre (small charge in Standard Rooms and free in Business Class). Enjoy meals and snacks in the restaurant and bar located on the ground floor, where relaxation is key at any time of the day or night. The Hilton Leeds City is situated at the heart of Yorkshire's biggest city and close to the business, commercial and shopping areas of the city. 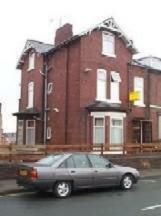 The hotel is adjacent to the railway station, just off the M621, providing quick and easy access. With free Wi-Fi and free parking, this classic Edwardian inn was built in 1901 and is a traditional English town pub, with original features, real ales and 5 separate gas-lit bars. Recommended by CAMRA (the Campaign for Real Ale) and described as a gem in their Stay At The Inn guide, The New Beehive Inn has a unique atmosphere. A quintessential English town pub, the Beehive is also one of only 150 pubs in the UK to be listed on CAMRA's National Inventory of Outstanding Character Interiors. The 17 en suite rooms have views of the city and are furnished in a traditional style, reflecting the age and history of the building. Each room has a TV and tea/coffee making facilities. Free Wi-Fi is available throughout. There is a large car park and parking is free of charge for guests. This elegant landmark hotel is the most famous in Leeds city centre and offers luxurious 4-star accommodation in a convenient central location, close to the shops, clubs and bars. Opened as a hotel in 1937, this historic property occupies a prime position on City Square, next to Leeds train station and within walking distance of all of the city centre's attractions. The superb location makes the hotel the ideal base for leisure or business travellers, with easy access by road from the M1, M62 and A1. Guests of The Queens can also now take advantage of 2 hours of free internet access. In a stunning location on the brow of the Chevin Hills above the market town of Otley, the Chevin Country Park Hotel & Spa nestles in 44 acres of protected woodland. With reputedly the largest log cabin in the UK as the main building, the hotel comprises a complex of beautifully quaint log bothies (buildings), a Spa health club and the main building, which houses a fantastic wedding venue, market leading conference suites and the award-winning Lakeside Restaurant. 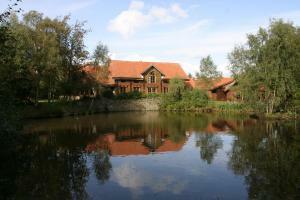 This beautiful hunting lodge style means it remains the ideal venue to get away from it all. This riverside corn mill has been converted into a refreshingly different designer hotel in Leeds, located on the edge of the River Aire and just minutes from the city centre. 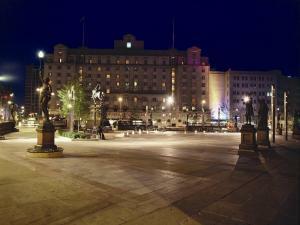 Harvey Nichols and the Victoria Quarter are close the hotel and the train station is 5 minutes away. Leeds and Bradford Airport is 9 miles (14.5 km) away. 42 The Calls shares its site with Brasserie Forty 4, an informal, fashionable and buzzing venue with 2 AA Rosettes. 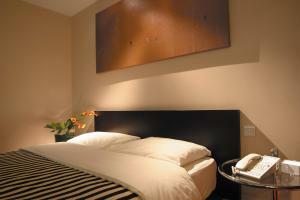 The hotel offers exceptional service and modern English interiors. Enjoy handmade beds with Egyptian-cotton linen, carefully selected paintings and drawings, and friendly touches such as homemade cookies and fudge. Rooms also have an interactive plasma TV and internet access. Close to the heart of the city centre, just 0.7 miles (1.1 km) from Leeds Railway Station, the hotel offers great value, with free parking and comfortable, modern, air-conditioned rooms. At the junction of the A58 and the A65, within easy reach of the M621, the Premier Inn Leeds City Centre has a great location, just 10 minutes' walk from the city centre. All of the large, clean and modern rooms have satellite TV and telephone/modem points. Some rooms can take 2 adults and up to 2 children (under 16 years). The 2 children also get a free full breakfast when accompanied by an adult eating a full breakfast. An all-you-can-eat buffet breakfast is available each morning and includes scrambled, fried, poached or boiled eggs, and pork or vegetarian sausages. There is also a wide continental selection. With a lively atmosphere, the on-site T.G.I. Friday's restaurant serves American-style food and drink, including great cocktails. 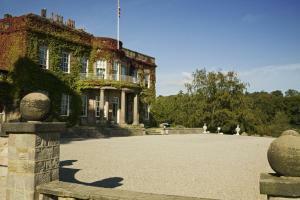 This 18th-century mansion has award-winning cuisine, a fabulous spa and a 27-hole golf complex in its fabulous grounds. 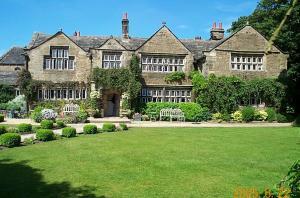 The historic Oulton Hall is Yorkshire's only 5-star luxury hotel. It offers a warm Yorkshire welcome and rooms with custom-made beds and Egyptian-cotton bed linen. 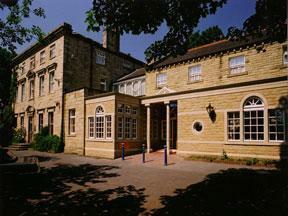 De Vere Oulton Hall is 10 miles (16 km) from Leeds. Discover Harrogate, York, the Yorkshire Dales and Bront? country. 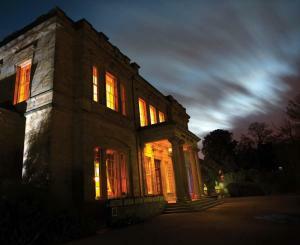 Claret Jug restaurant has stunning views of the golf course, and Calverley Grill has an AA award for its fine dining. 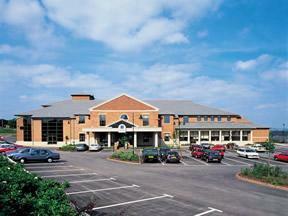 The hotel also has a Golf Performance Centre, and spa and fitness facilities at the Oulton Club. Archery lessons within the magnificent 300-hectare estate can be organised.